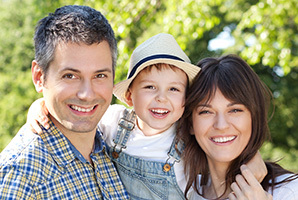 Family Dental Practice of Newington is proud to provide a wide array of services that are perfect for every member of the family. Whether you have a small child who’s ready for their first checkup, you need to have a few teeth restored, or you have a parent who’s interested in dental implants, we’re ready and able to serve everyone’s smile. Dr. Waterman and Dr. Fink simply love putting smiles on Newington faces whether they are young or just young at heart. With our choice of preventive, restorative, cosmetic treatments and more, we’ll make sure that you and your loved ones always have smiles you’re proud to show off. To learn more about everything we have to offer your family, simply click on the links below. If you have any questions or would like to schedule an appointment, be sure to contact us today.